You only need to enter your e-mail address and password to make a reservation. 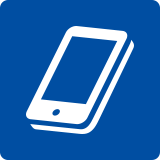 Points can be used for getting discounts on accommodation or cash rebates. 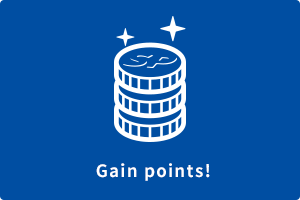 Points you’ve gained can be used to get discounts *2on your accommodation, with 500 points worth 500 yen. You can also get them in cash, *2, *3with 3,000 points worth 3,000 yen. *2 You can apply for discounts or cash rebates online when you make your reservation. *3 Cash rebates can only be provided at the hotel front desk or reception. Can anyone become a member? Where can I register? Yes, anyone can become a member. You can only register from the Solare Hotels website. There are no limitations on age, nationality, or anything. All registration procedures should be done from the Solare Hotels official website. No membership card will be issued. You cannot register at the hotel’s front desk or reception area. Do you charge a registration or membership fee? No, registration is entirely free. You will also not be required to pay membership fees. There is absolutely nothing to pay for. No card will be issued. No membership number will be given, either. The email address you used when you registered will serve as your ID. You will not be issued a card or a membership number. After signing up, you will be awarded points when you log into the Solare Hotels website using your email address and password and make a reservation. Your registered information and points history can be checked from your membership page on the Solare Hotels website. Can I register more than once using the same email address? No, only one account can be registered per email address. If you make a hotel reservation on the Solare Hotels website, you will be given one (1) point for every JPY 100 you spend on accommodation. 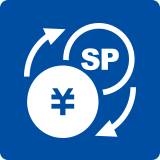 You will get one (1) point for every JPY 100 (including tax) you spend on accommodation you have reserved. Your points will be added four (4) days after you check out once you have actually used your reservation. Awarded points can be used immediately. *Please note that some hotels do not award points. Please check the Solare Hotels website for the latest list of which hotels award points. *Points will not be awarded for using hotel facilities such as restaurants, cafes, beauty salons, or large baths unless they are part of an accommodation plan. 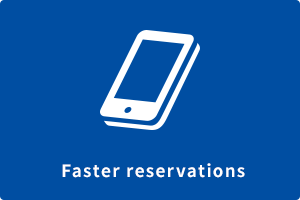 *Points will not be awarded for reservations made by phone, chat apps, or third-party websites, reservations made at corporate rates and by travel agencies, or reservations to which cancellation charges have been paid. *You can only earn points if you are registered as a member when the reservation is made. Points are not awarded for reservations made prior to registration. 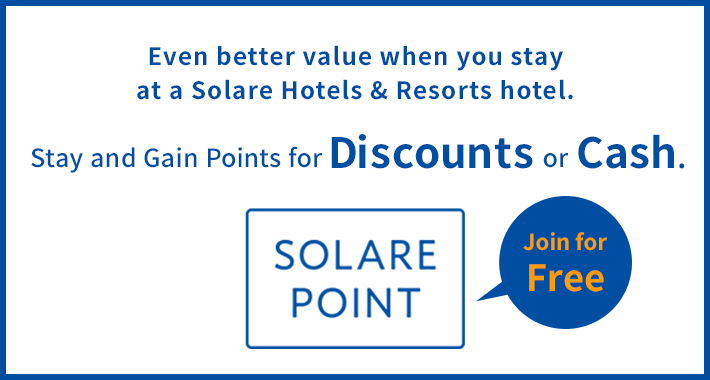 You can use them to reserve accommodation for hotels where points can be used via the Solare Hotels website. 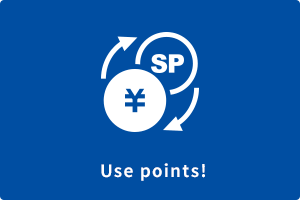 You can use your points to pay for your accommodation; for example, you can use 500 points to get a JPY 500 discount, or you can use 3,000 points to get JPY 3,000 in cash. *Points cannot be used in restaurants, cafes, beauty salons, large baths, and other hotel facilities. 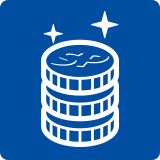 How do I convert my points into cash? You can request a cash conversion from your points when you make a reservation on the Solare Hotels website. When you check in, you will be given cash equivalent to the amount you requested. Please note that you will be asked to sign a receipt for the amount. We cannot accept requests for cash refunds on the day you check in. Please make a request on your next reservation instead. Please note that we cannot provide the cash refund until you check in at the hotel’s front desk or reception area. We cannot post it to you, nor can you come in early and pick it up. Points are valid for two (2) years after they are awarded. Points are valid for two (2) years after they are awarded. They will be automatically deducted upon expiration. Why aren’t my points showing up on the membership page on the Solare Hotels website, even though I stayed overnight? Points are added four (4) days after checking out. If your points are not showing up on your membership page even though more than four (4) days have passed since you checked out, please contact us using the inquiry form on the Solare Hotels website, and include the following information. We will check the record of your stay and respond to you. Can you include redeemed points in the amount shown on the receipt? Please ask the front desk/reception staff. Normal receipts show the amount received after the points have been deducted. If you need a receipt that shows the total price including the amount that you paid for with points, please inform the front desk/reception staff when you check in. Can non-member guests receive the cash refund? No, only the members themselves can receive the cash refund. If a member makes the reservation but the actual guest is a non-member, we cannot provide the cash refund. What should I do if I forgot my password? What should I do if I want to change my password? Click “Forgot your password?” on the login page. You can reset your password from here. Follow the steps to register a new password. What should I do if I forgot the email address I used to register? What should I do if the email address I registered is wrong? Please contact us using the inquiry form on the Solare Hotels website. Please contact us using the inquiry form with the following information on the Solare Hotels website. We shall investigate and get back to you. Why did I not get an email after I registered? If you did not get an email, it could be due to any of the following reasons. (1) The email address you registered is incorrect. (2) You have set up domain rules as a way to counter spam. Please add member@solarehotels.com to your list of approved senders. (3) Your email automatically sorts out spam. *You will need to change your settings if no spam folder is displayed with your initial settings. How do I change my membership information? How do I stop receiving email newsletters? How do I stop being a member? Log in, and then click “Edit Member Information” on the membership page. On the Edit Member Information page, replace the information you want to change, and then click “Change Registration Details”. To stop receiving email newsletters, remove the check mark from “Subscribe to the email newsletter”. To stop being a member, click “Leave”. My account has been locked due to an authentication error. Please contact the Solare Points Office.